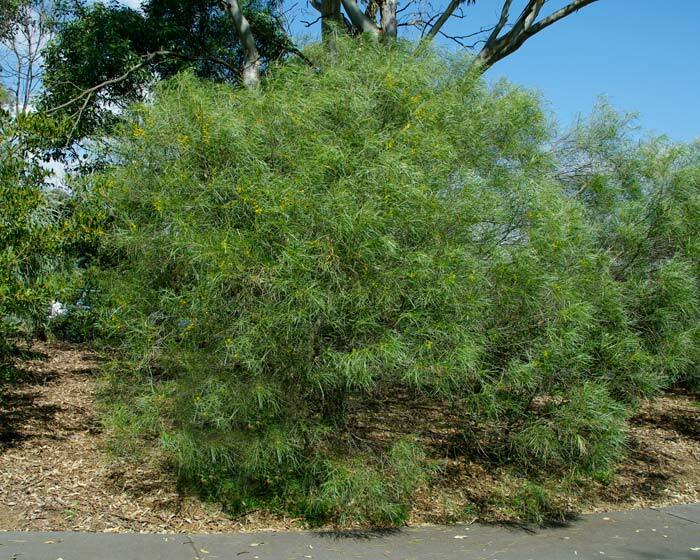 Acacia acuminata or the Raspberry Jam Tree is a relatively slow growing tree that in normal conditions will grow to about 5m, however it has been know to grow to 10m. 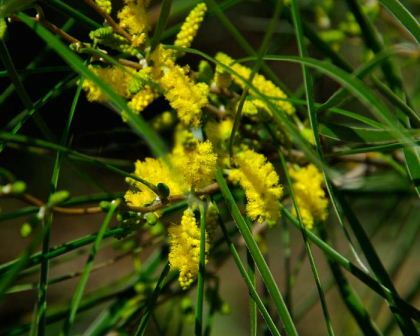 This variety of Acacia is know for it profusion of yellow flowers on cylindrical spikes in late winter to early spring. The flowers not only create a wonderful splash of colour but also attract bees and native birds. The cut wood has a strong odour similar to that of raspberry jam which is where the common name comes from. Soil: Prefers well drained loam or gravel soil. Will tolerate dry conditions once established.